When Gabrielle Claiborne came out as a transgender woman in 2010, she worried about what it would mean for her career. She had spent the past thirty years in the construction industry, owning and operating her own successful businesses, but she knew that discrimination against the transgender community would make it difficult for her to continue finding work. She also knew that she wanted to make a difference in her community, that she wanted to use her business experience and knowledge to make life easier for other transgender people navigating their own careers. 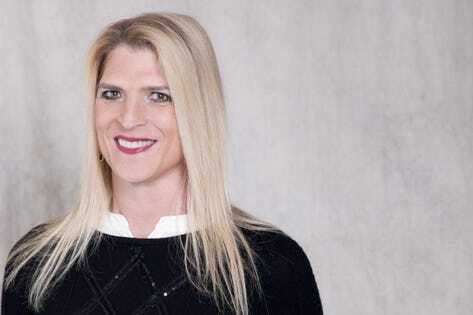 She didn’t know what that would look like until she met her eventual business partner, Reverend Linda Herzer, a trans advocate working to educate others about trans and non-binary people. The two women decided to merge their skills and passions to cofound Transformation Journeys Worldwide, an inclusion training and consulting firm that focuses on supporting organizations in creating fully inclusive cultures for trans and non-binary people. Transformation Journeys Worldwide (TJWW), based in Atlanta, Georgia, serves corporations, nonprofits, spiritual communities, healthcare providers, as well as educational institutions. It has worked with clients like UPS, Home Depot, the Atlanta Hawks, and Kaiser Permanente. In addition to teaching the importance of inclusion from a human rights perspective, Claiborne emphasizes to clients that an inclusive work culture is the best possible way to attract and retain top talent. She cites a 2017 Harris Poll that found 12% of Millennials identify as transgender or gender non-conforming, which is double the number of Generation Xers that identify as such. Millennials are making up more and more of the workplace as time goes on, so it is in a company’s best interest to foster a culture of inclusion, she explains. The biggest challenges for people, Claiborne finds, is understanding what it means to identify as non-binary. One big piece of TJWW trainings is helping people understand how to interact respectfully with their transgender and non-binary clients and coworkers. TJWW offers strategies for respectfully asking someone which pronouns they use, and it educates people about what to expect when a coworker comes out or is still in the process of evolving their gender expression. Claiborne’s significant entrepreneurial experience has guided her through the ups and downs of cofounding TJWW. “I knew how to start a business,” she says. “I knew how to collaborate. I knew how to market myself. I knew how to create.” Nevertheless, she says she has learned to be more collaborative since starting TJWW. It has become important to Claiborne to surround herself with other people who bring talent and experience. “So it’s not just me bringing my solutions to the table,” she says.